← For good measure: Happiness! Christy Clark and Kathleen Wynne. Two Liberal premiers. Two very different approaches to global warming. In British Columbia, forest fire season is upon us a month ahead of schedule and worse than ever recorded. 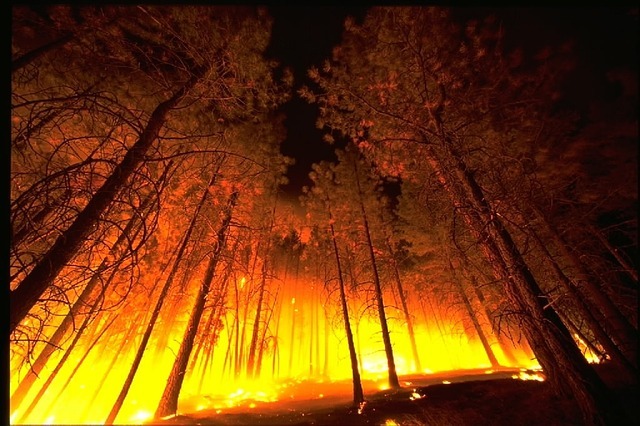 Thirty new wildfires are expected every day for the foreseeable future. Air quality in greater Vancouver has been the worst it’s ever been with wildfire smoke from as far away as Prince George. One day, Vancouver’s air quality was almost as bad as Beijing’s. In the midst of this, our premier decided to fly to Pemberton for a photo op regarding the nearby wildfires. The irony of using an airplane, with its high carbon emissions (just to accomplish what exactly?) is not lost. This premier is also so committed to exploiting our provincial LNG resources — an industry that would add more emissions than the current carbon footprint of B.C.’s entire oil and gas industry — she’s handing out gifts like it’s Christmas in July. For instance, her government has just agreed to compensate the major LNG consortium led by Malaysia’s energy giant Petronas if taxes are raised on the industry, natural gas tax credits reduced, or new carbon taxes targeting the LNG sector are imposed. Future governments are locked in to the agreement for 25 years. Let’s take a moment now to contrast all of the above with the other Liberal premier. Ontario’s Kathleen Wynne has been insisting on real action for quite some time to reduce her province’s greenhouse gas emissions. In Ontario, all coal-fired power plants have been mothballed for many years as opposed to BC’s pursuit of LNG. But Premier Wynne is not content to simply reduce her provincial greenhouse gas emissions. Recognizing the issue of global warming for what it is — an existential threat to the very existence of our species on this planet — she wants to work with other like-minded politicians from every level of government right across North America to tackle climate change. My favourite premier (yes, Kathleen Wynne is my favourite premier, and I would have voted Liberal for the first time in my life had I resided in Ontario during the last provincial election) is hosting a conference this week on tackling climate change with movers and shakers from all across North America. In an effort to build bridges with the federal government she also invited the federal environment minister. Unfortunately, the minister declined. Two different premiers, two very different approaches to the single most important issue facing us all. This entry was posted in British Columbia, climate change, Metro Vancouver, Vancouver. Bookmark the permalink.